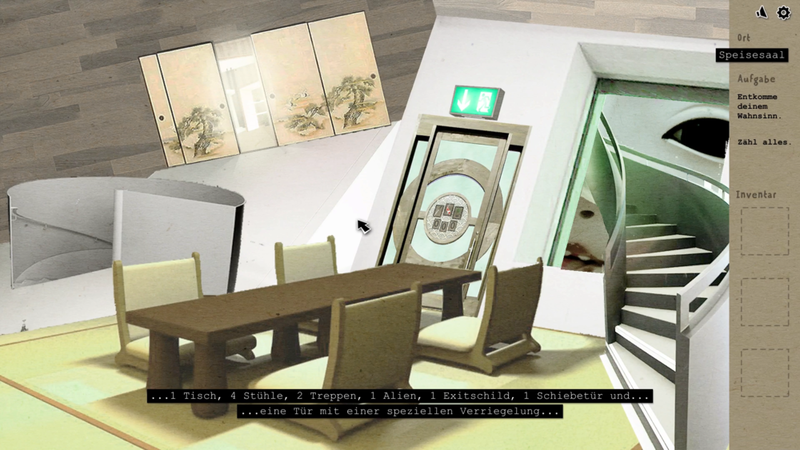 In Broken Sanity the player is stuck in a surreal world and tries to escape his constraints. The levels stand for different aspects of delusion, hindering a return to reality. Not only is the game broaching mental illness as a subject, Broken Sanity also explores common boundaries in games and forces the player to think outside the box. Goal of the project was to create a point & click adventure within roughly 30 Days as a group of sixteen first term students in 2014 at the University of the Arts Zurich.